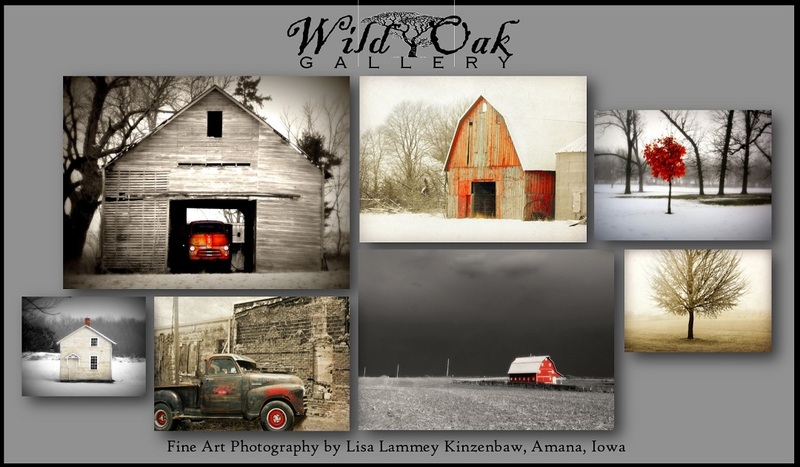 I grew up in the Amana Colonies, Iowa. Fortunately for me I was surrounded by beautiful wild prairies, woodlands and farmland, not to mention the unique mid-19th century architecture of the early Amana settlers. As an "outdoorsy" person, I'm always on the look-out for an exciting/unusual scene. One of my goals has been to simply try to capture these sights as best I can so other people, to a certain degree, can experience the same beauty and inspiration I felt when I took the picture. My other goal is to take shots that will work well decoratively. I have a degree in pychology and studio art from the University of Iowa, but also studied art in New York City, where I lived for five years. I worked in an art gallery for five years in Iowa City, where I learned to frame and display artwork. I have been employed with the University of Iowa since 2000, and live in High Amana, Iowa, the village I grew up in. Almost all my photographs were taken within a 10 mile radius of my home.